Get your logo printed on Soft Promotional Footballs promotional items. Apps include throw outs at games, giveaways, promotional products. Features are soft vinyl molded construction w/ a re-inflatable valve. 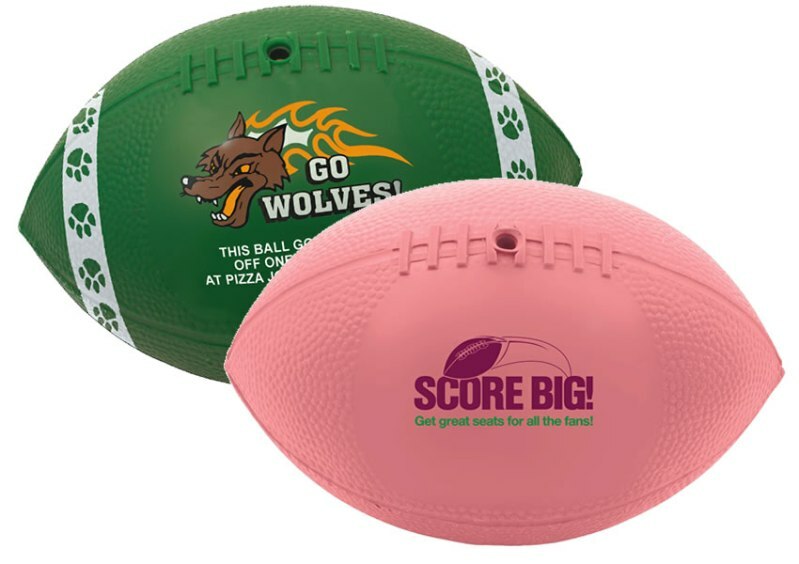 Overall size promotional football 7" wide. Footballs bulk packed. Delivery from date of order for promotional footballs 3 weeks. Price includes a one color imprint one side in area 2" w x 1 1/2" h.
a setup of $35.00 and a running charge of $.35 each. Logos do require a Illustrator ai, eps or pdf art file.